Create Popups to convert website visitors. Send the converted leads to Pipedrive. 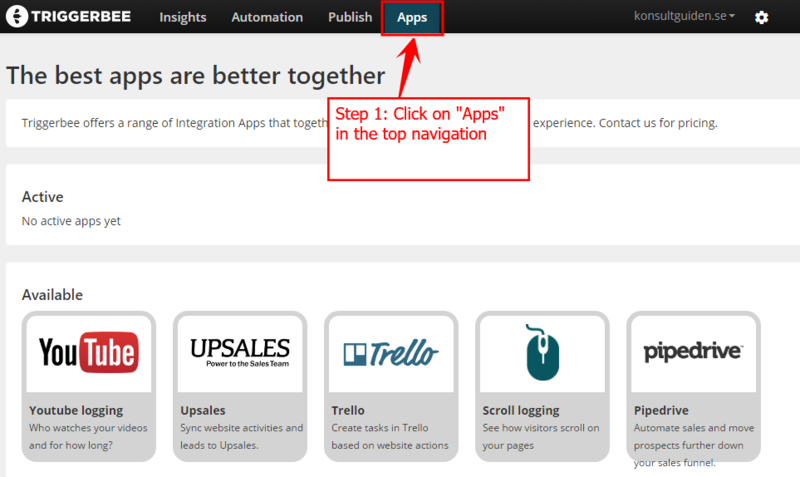 Inside Triggerbee: Go to the “Apps” section in the top navigation. Find the Pipedrive App, click on it. The settings appears. Click on the “On/Off” button to activate the Pipedrive App. 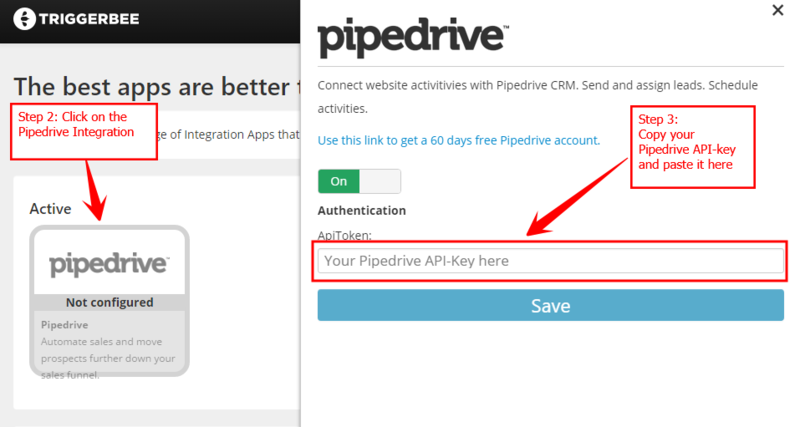 Fill out the Pipedrive API key, that you have retrieved from your Pipedrive account.